Kindergarten and First Grade years provide an explosion into learning and maturity. 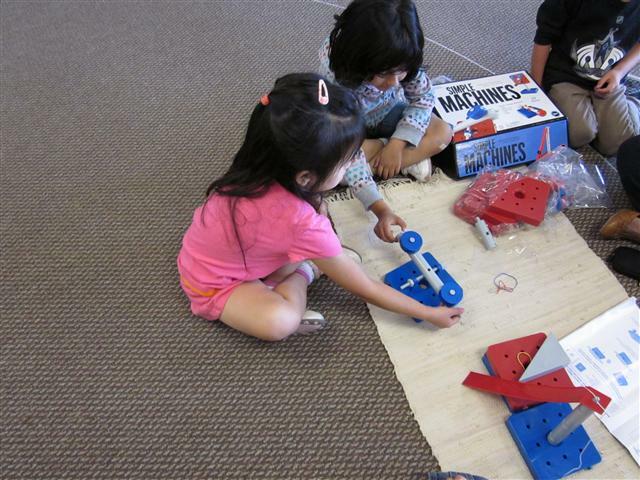 The Kindergarten year is a critical component of the three-year Early Childhood Montessori program. This is the year when children’s earlier experiences are internalized and reinforced. The child learns to develop responsibility and time management in their work cycle. The Kindergarten year is a time to strengthen aptitude in reading and mathematics. From Kindergarten through their First Grade year they begin to apply these critical skills in more advanced studies of math, science, language, cultural, and the arts. The busy K-1 class is challenging, stimulating and fun. Mathematics is presented through three dimensional, manipulative materials that support arithmetic, geometric, and algebraic correlations. The grammar materials use symbols and visual patterns to help the child understand parts of speech and analyze the structure, style, and logic of sentences. Classroom scales teach weight and measurement, microscopes reveal a whole other dimension to our everyday life, and maps and globes provide the launching pad for student research about the diverse world we live in. The lower elementary environment gives the childhood imagination free realm to extend the educational materials beyond the boundaries of the classroom work table. At MFM, our “Knowledge at Work” approach gives our students the tools to integrate what they have learned in the classroom with practical and socially relevant applications. For example, when teaching about Africa, students are not only given the geographical lesson, but they are farther engaged in their studies on the history, culture, literature and current events significant in the region. Our goal is to encourage children to take that extra step in the logical thought process to broaden their understanding. The children in essence learn how to learn: How to gather, process, interpret, and ultimately formulate their own comprehension of the people, places and issues that make up our global community.